It’s rubbish being a Bolton fan at the moment, so let’s turn back the clock a bit, to last May, and that win over Nottingham Forest. 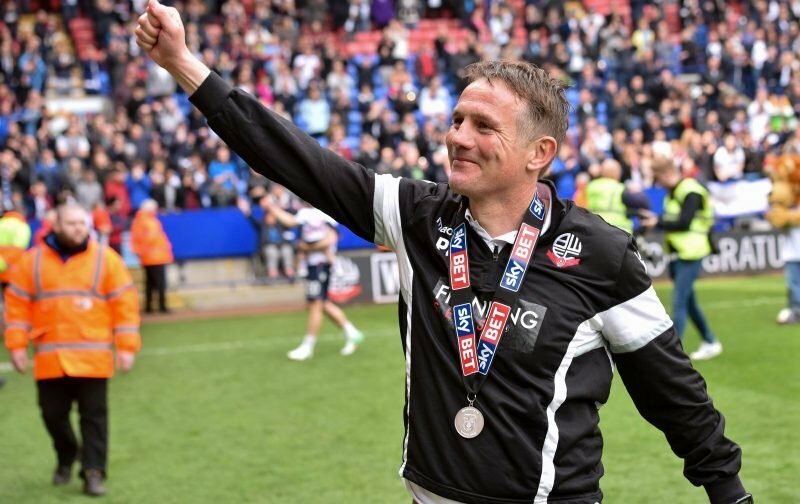 Phil Parkinson has written a piece for the Coach’s Voice, about his career as a whole, but unsurprisingly there is a bit about Bolton in there, and quite a bit about the run-up to last season’s finale. There isn’t a great deal in the article that anyone who has followed us enough over the last couple of years won’t be particularly surprised with, but with tensions high, and how relegation could have had an impact on the club, and even Parkinson’s job, he tried to keep things pretty level-headed. “Listen, if we go down tomorrow, we’ll all still be alive the morning after. We’ll still have our health, our families. We’ll all be going on a holiday. It’s not the end of the world. What is important, is that we are ready to go full out to try and get a result,” he told his squad. He also mentioned his decision to start Aaron Wilbraham, which didn’t go down well at the time but paid off in the most miraculous of circumstances. Just as telling was his words on Adam Le Fondre, “found difficult to fit in the structure of the team”- something I always felt Parkinson struggled with but the man himself has said it now. He did understandably stay diplomatic when talking about the current off-field situation. I wonder what he actually thinks, but in reality he couldn’t say anything else.